John 4:13-14 and Alberta Falls, Rocky Mountain National Park, Colorado. In the Gospel of John, Jesus meets a woman at a well in the nation of Samaria. She went to the well to satisfy her physical needs. Jesus promised that in Him she would find a greater water to satisfied her eternal needs. The Bible tells us she repented and believed Jesus. When we do the same we find Eternal life in Jesus. In Him we’ll never thirst again. Read more about finding Jesus and eternal life at everyperson.com. Brighten your day with a free outdoor devotional and The Visual Verse of the Day delivered to your email inbox. 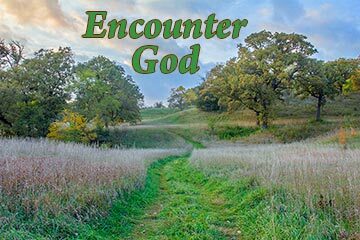 Subscribe to The Visual Bible Verse & Get My PDF “15 Ways to Encounter God in the Outdoors” Free! Jesus left an Empty Tomb. He has Risen! Scripture quotations taken from the NASB (www.lockman.org), unless otherwise noted.